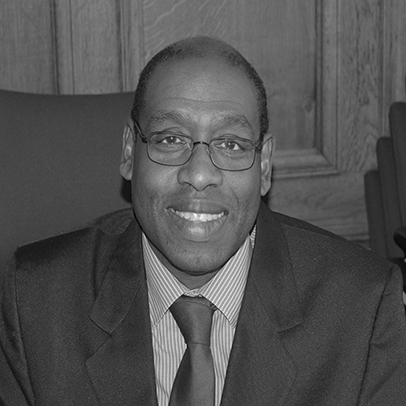 Dr Glenford Mapp received his BSc (First Class Honours) from the University of the West Indies in 1982, a MEng (Distinction in Thesis) from Carleton University ­in Ottawa in 1985 and a PhD from the Computer Laboratory, University of Cambridge in 1992. He then worked for AT&T Cambridge Laboratories for ten years before joining Middlesex University as a Principal Lecturer. Glenford is currently an Associate Professor. His primary expertise is in the development of new technologies for mobile, distributed and vehicular systems. Glenford does research on Y-Comm, an architecture for future mobile communications systems. He also leads research into Intelligent Transportation Systems (ITS) and has been involved in the design and deployment of VANET (G5) Testbeds. See: www.vanet.mdx.ac.uk. In February 2018, Glenford was chosen by Amity University in Noida, India to receive the Amity University Distinguished Researcher Award in the field of Networking for his significant contributions to heterogeneous networking. The award was presented at the IEEE Sponsored 9th International Conference on Cloud Computing, Data Science & Engineering; Confluence-2019 on January 10th-11th 2019 at Amity University Campus, Sector 125, Noida, India. Please have a look and give him your feedback. Dr Mapp also has over 100 papers in refereed journals and conferences. Recent publications are given below and a full list of publications is available for you to download. Paranthaman V.V, Kirsal Y, Mapp G, Shah P and Nguyen H: Exploiting Resource Contention in Highly Mobile Environments and its Application to Vehicular Networks: To be published in the IEEE Transactions on Vehicular Technology in early 2019. Thiruvasaken L, Vien Q-T, Loo J and Mapp G. E: A QoS-based Flow Assignment for Traffic Engineering in Software-Defined Networks: To be presented at 33rd International Conference on Advanced Information Networking and Applications (AINA-2019), Matsue Japan, March 27th-29th 2019. Kirsal Y, Paranthaman V V and Mapp G: Exploring Analytical Models to Maintain Quality-of-Service for Resource Management Using a Proactive Approach in Highly Mobile Environments: International Journal of Computers, Communications and Control, vol. 13, no. 5, October 2018. Ezenwigbo O A, Kirsal Y N, Paranthaman V V, Mapp G and Trestian R: Exploring a New Framework to Build Mobile QoS-Aware Applications and Services for Future Internet: Journal of Communications, vol 13, no. 10, pp 559-573, 2018, Doi: 10.12720/jcm.13.10.559-573. Mapp G: Understanding user contention and its effects on resource allocation in heterogeneous networks: Presented at the 17th Mathematics of Networks (MoN17), University of Sheffield, 20 September 2018. Yonal K, Paranthaman V V and Mapp G: Exploring Analytical Models to Maintain Quality-of-Service for Resource Management Using a Proactive Approach in Highly Mobile Environments: Presented at the 7th International Conference on Computers Communication and Control, Oradea, Romania, May 8th-12th, 2018 where it won a Best Paper Award. Thiruvasakan, Lakshmi Priya and Vien, Quoc-Tuan and Loo, Jonathan and Mapp, Glenford E. (2019) A QoS-based flow assignment for traffic engineering in software-defined networks. In: 33rd International Conference on Advanced Information Networking and Applications (AINA-2019), 27-29 Mar 2019, Matsue, Japan. Ezenwigbo, Augustine and Paranthaman, Vishnu Vardhan and Trestian, Ramona and Mapp, Glenford E. and Sardis, Fragkiskos (2018) Exploring a new transport protocol for vehicular networks. In: The First International Workshop on Intelligent Transportation and Connected Vehicles Technologies (ITCVT 2018) in conjunction with The Fifth International Conference on Internet of Things: Systems, Management and Security (IoTSMS 2018), 15-18 Oct 2018, Valencia, Spain. Trestian, Ramona and Vien, Quoc-Tuan and Shah, Purav and Mapp, Glenford E. (2017) UEFA-M: Utility-based energy efficient adaptive multimedia mechanism over LTE HetNet small cells. In: 14th International Symposium on Wireless Communication Systems, 28-31 Aug 2017, Bologna, Italy​.